Are you curious to know the different cancer classifications? If you are, you will find interesting facts here. You don't need to memorize the medical terms only someone who studied or is studying medicine should. Carcinomas are the most common among these classifications and because they are the majority, we will learn about them first. In a carcinoma, the abnormal cells start their growth in the epithelial tissues. Majority of human cancers belong to the carcinoma classification. A carcinoma prefers some of your organs over the others. It loves to invade your skin, your lungs, your prostate (if you're a man), your colon, your pancreas and your breasts (unfortunately even if you're a man). Carcinoma develops very rarely in kids. Most types of breast carcinoma are the ductal type. Pancreatic tumor, of which Steve Jobs was diagnosed with and died from, is an extremely deadly carcinoma. A carcinoma moves from its origin to your other organs through your blood and lymph nodes. There are carcinomas such as the renal type that are named after the cell they start in. Now, let's move to the next classification. . . .
Sarcomas are cancer classifications in which the tumor grows in soft connective or supportive tissues. These are the tissues that surround other body organs and structures. Examples of connective tissues are your bones and muscles. 2. Soft tissue sarcoma in which the malignant tumor grows in your muscles, nerves, fibrous tissues, blood vessels, or deep skin tissues. Liposarcoma - is a sarcoma that grows in the fat tissues located in your thighs, behind your knees, and even inside the back of your abdomen. If you are 50 to 65 years old, you are more prone to this type of sarcoma. Fibrosarcoma - is a sarcoma that grows in the fibrous tissues located in your legs, arms, or trunk. People who are most affected by this sarcoma type are those between 20 to 60 years old. But it can happen to anyone, even to a baby. Leiomyosarcoma - is a sarcoma that develops in the smooth muscle that can be found almost anywhere in you body. It usually grows at the back of the abdominal cavity, your internal organs, and blood vessels. The elderly are the most susceptible to this sarcoma type. Again, sarcoma cases are not common. But it can develop in both older and young adults and even in children. Are you now able to differentiate a carcinoma from a sarcoma? I hope so! It's time for the third classification known as lymphoma. Lymphoma is a tumor that develops in the lymphocytes of the immune system, particularly and usually in the lymph nodes. But cancerous cells can also grow in the lymphocytes that are found in your skin. There are 2 major cancer classifications of lymphoma: Hodgkin's disease and Non-Hodgkin's lymphoma. Both Hodgkin and Non-Hodgkin lymphoma have many different sub-types as well. A lymphoma can be considered a relative of lymphoid leukemia because both affect your immune system. In fact, it is also classified as one of the blood cancers and is more common than leukemia in the United States. People who have weak immune systems because of certain medications and infection with Human Immunodeficiency Virus are at a higher risk for lymphoma. Remember that if your immune system's cells are healthy and strong, they are able to stop cancerous cells from getting out of control. 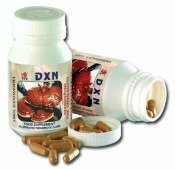 A certain type of mushroom known as Reishi or Ganoderma has been used extensively for centuries to nourish the immune system of those who live in Asia. According to the facts from the National Cancer Institute, leukemia affects the blood cells. The location of the cancerous cells is the bone marrow and there are 4 leukemia classifications. 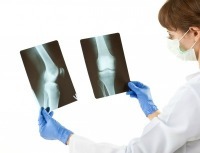 Its risk factors are varied which can be anything from certain viruses to radiation. Smoking is an identified important risk for leukemia. Your genes also play an important role in its development. Kids with down syndrome are prone to developing the acute lymphoblastic or ALL type. Learning the different classifications is a necessary step on prevention. Even prognosis and treatment depend a lot on knowing the correct classifications and correct staging.